SHOPPERS at one of Scotland’s busiest malls will now be able to see a unique tapestry showing 600 years of history about the Royal Burgh of Renfrew. 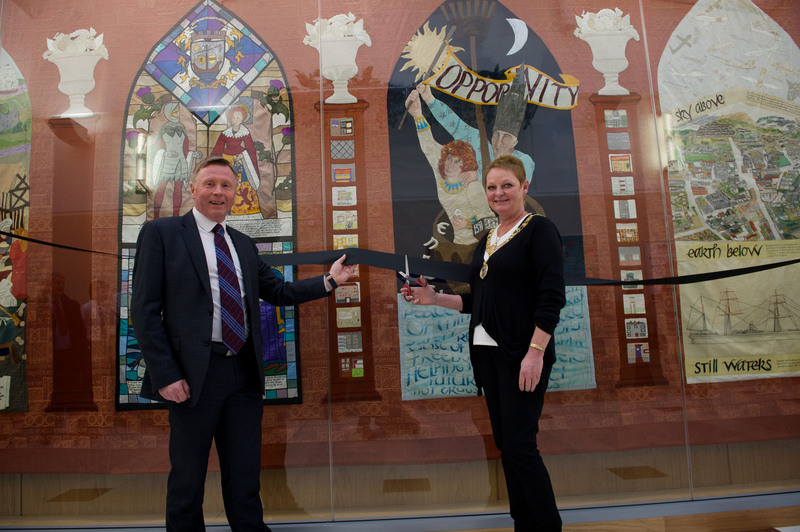 The Renfrew 600 Tapestry has found a new home at the intu Braehead shopping centre after it had been originally displayed and then stored in Renfrew Town Hall. But yesterday local schoolchildren helped Renfrewshire Provost Anne Hall unveil the colourful eight feet by 25 feet tapestry in the walkway between intu Braehead’s upper mall and their Blue multi-storey car park. 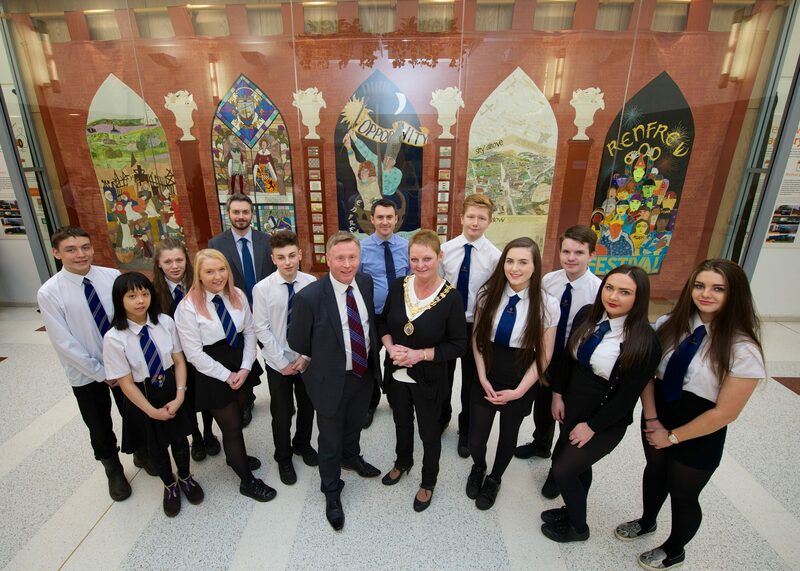 The tapestry – depicting many historical events in the town from 1397 – was created by local residents in 1997 to commemorate 600 years of Renfrew as a Royal Burgh. 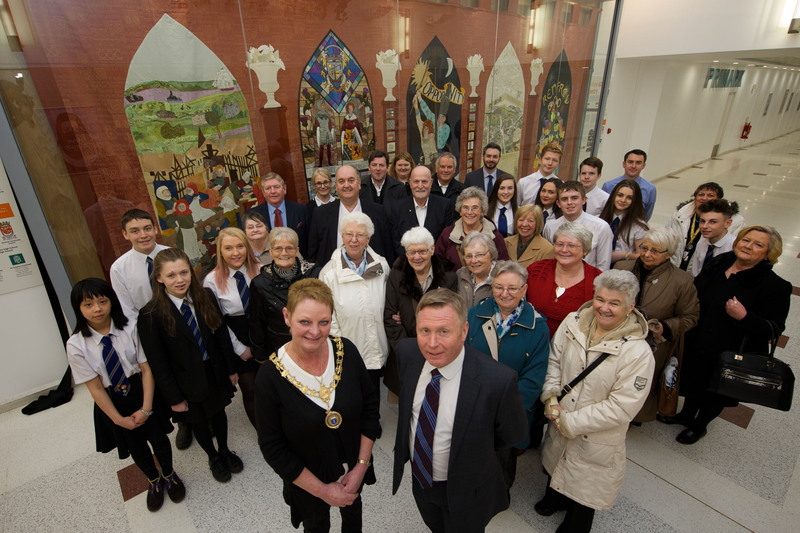 Renfrew Common Good Fund donated £15,140 to meet the cost of a suitable protective case and re-location after Renfrew Community Council worked tirelessly to have the tapestry on display again. Then intu Braehead stepped in to offer it pride of place in the mall. Renfrewshire’s Provost Anne Hall said: “The production of The Renfrew 600 Tapestry was a tremendous achievement and it is great news that the work will be permanently on show to local people and visitors alike. “I would like to thank everyone involved from the original creators, to those community representatives who have maintained interest in the tapestry, and the school pupils who have added their insights in the accompanying storyboards. Community development manager at intu Braehead, Lydia Brown said: “The tapestry is a wonderful way to show Renfrew’s rich history and we’re delighted that we’ve been able to provide a permanent home for it.